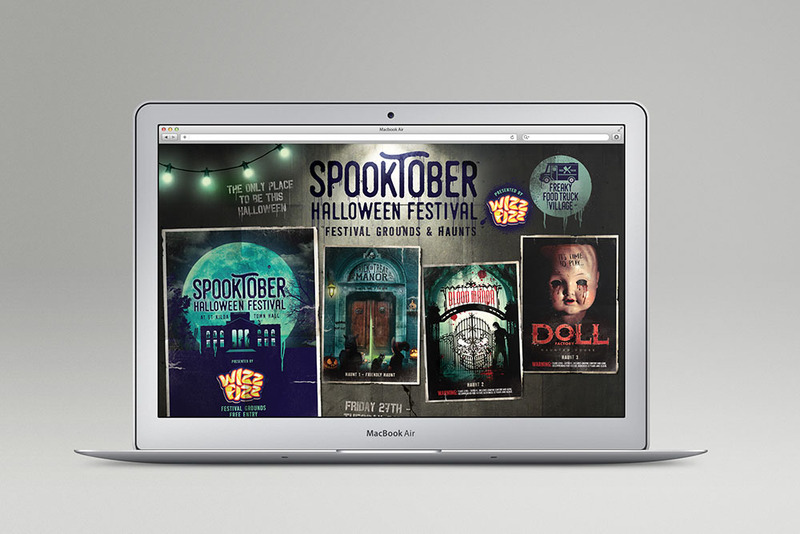 THE BRIEF: Dale Pope Events came to Griffin Grace to help re-energise the brand for their annual Halloween festival, Spooktober, which was growing rapidly in popularity. The existing brand was looking tired and a little childish. Over the years the event had grown and developed for both families and adults so she wanted something with more universal appeal that reflected the character and fun of the experience. THE SOLUTION: The event is held at the iconic St Kilda Town Hall, a striking venue that gives a grand scale and credibility to the festival. 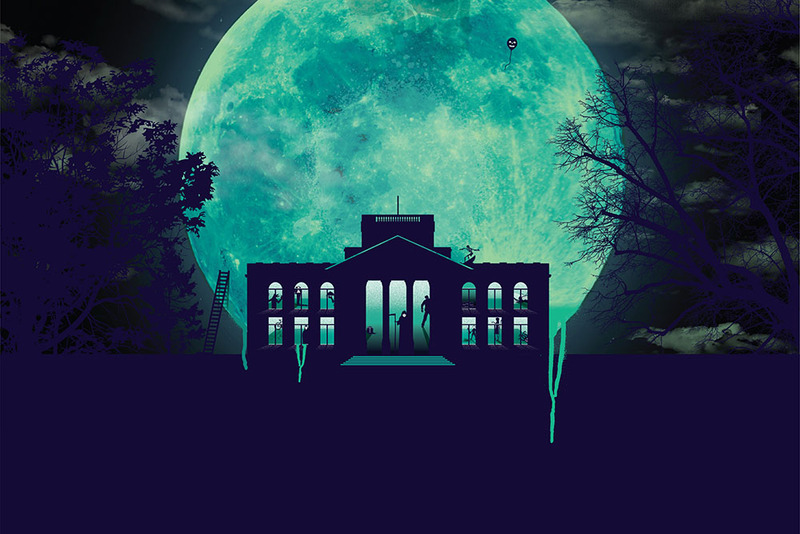 This was brought to life in the new branding with a striking, dripping green moon backdrop – which became the new lock up for the brand. 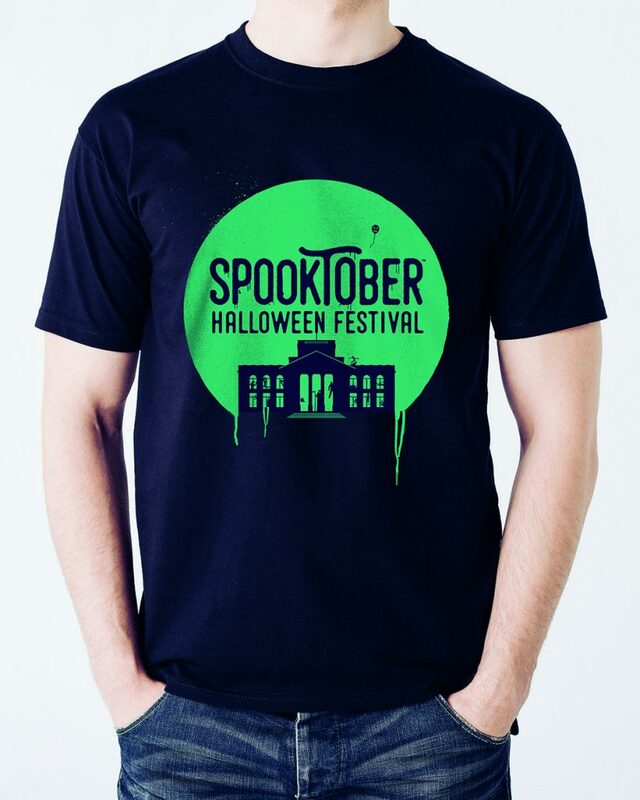 Using this disruptive colour palette gave Spooktober a more modern and distinct look. 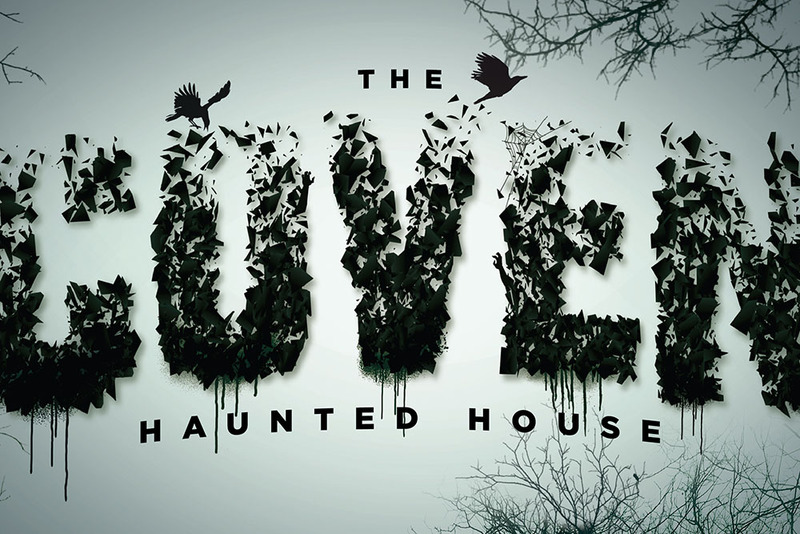 We have since worked very closely with the client to bring to life the event each year with dramatic new haunted house experiences, creating vividly real visuals to shock and excite the public. We work on all touchpoints of the brand including digital platforms, environmental graphics, signage and wayfinding every year. 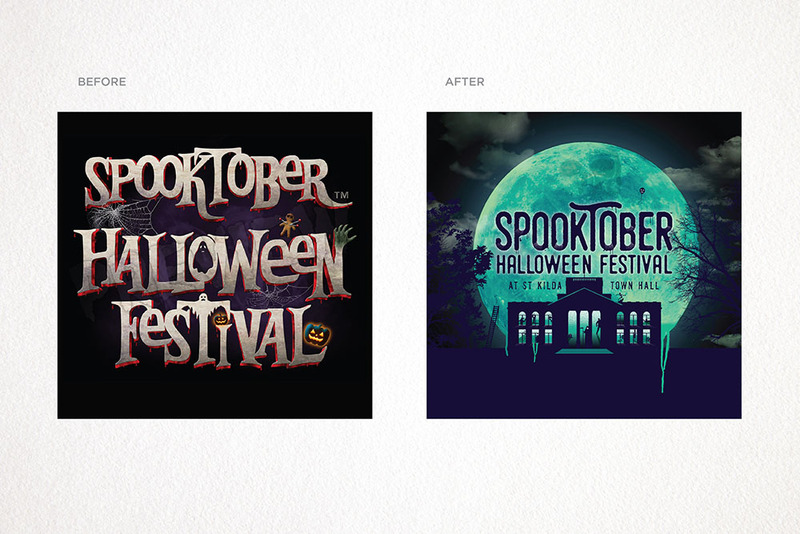 And the Griffin Grace team are always first in line to be terrified and entertained by the Spooktober experience.